You are here: Home -> Travel Destinations -> Diving in the Red Sea – Egypt’s Garden of Allah! With coastal towns and new custom-built resorts, rich and diverse ecosystem, year-round sunshine and the exceptional living reef forming an elaborate system of caves, lagoons and gardens, the Red Sea, where the desert meets the ocean, is truly one of the globe’s most genuine natural seascape environments attracting swimmers, divers and tourists from all over the world. Created by the movement of plates in the Earth’s surface some 30 million years ago, the Red Sea holds beneath its crystal clear waters an oasis of living creatures, ranging from sharks and dolphins to gorgonian fans and feather-stars, which make an ideal base for a memorable diving holiday. Moreover, the visibility is simply fantastic down to 200 meters, water temperatures range from around 15°C in January to over 28°C in September and there are unobstructed opportunities to spot tropical marine life. Being the warmest of warm seas the Red Sea is home to over 1,000 dive sites, including some of the world’s most famous wrecks and reefs. The first-class Thistlegorm Wreck is the most renowned and impressive in the Red Sea, surrounded by big schools of barracudas, tunas and trevallies. In 1941 the British vessel was carrying a cargo of war suppliers and was attacked from the air while anchoring. 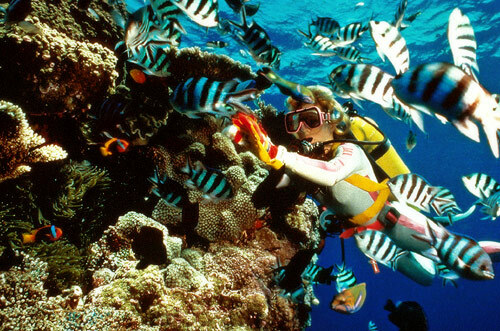 The best diving is found in the Red Sea resorts of Sharm el Sheikh, Hurghada, Makadi Bay and El Gouna, each offering a distinct range of diving opportunities to suit beginners and professionals alike. 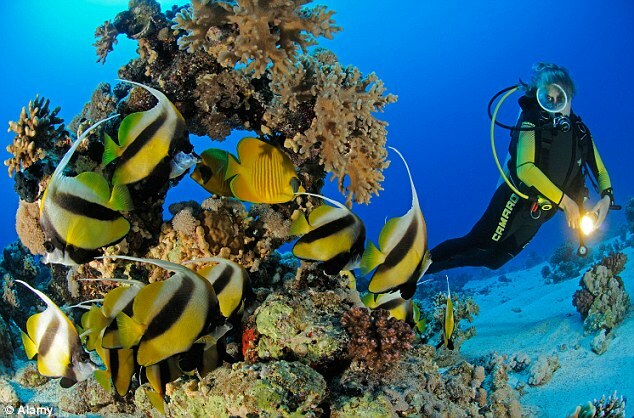 Scuba diving in Sharm el Sheikh allows exploring majestic locations like Ras Mohammed, the beauty of Jackson Reef and the fascinating Gulf of Aqaba. 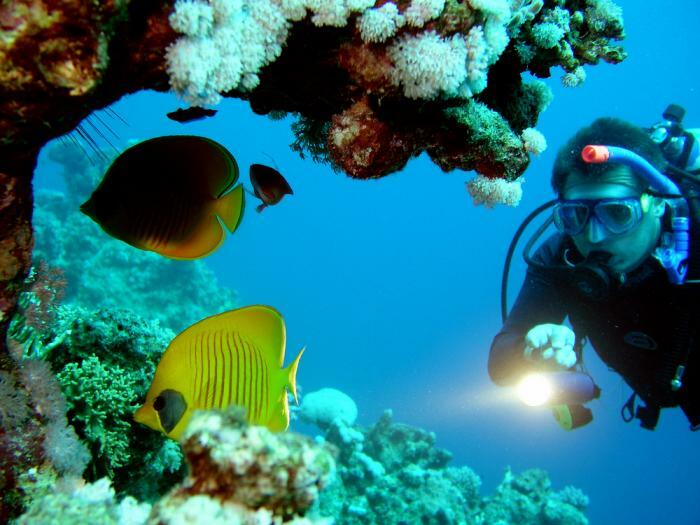 For technical and shore diving Dahab is an excellent choice. Here you will find a less crowded diving experience and a relaxed atmosphere. Dahab’s diving highlights include the stunning Blue Hole and the wondrous underwater rock face of The Canyon. Diving in the Red Sea is available any time of year and can be one of the most inspirational experiences of your life!